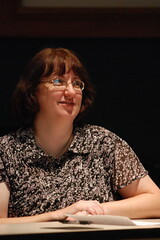 Dr. Karen Russell (blog, twitter) is a professor at UGA who specializes in PR history. Dr. V: Why study PR history? Why should we bother? What do we get out of it? Dr. Russell: On a practical level, by studying PR history you can see what PR people have done in the past — strategies and tactics, interesting themes or approaches — with the added benefit that we can examine short- and long-term effects. For example, I love Roland Marchand’s book, Creating the Corporate Soul, because he reviews early attempts at humanizing corporations, which can surely provide insights into things corporations are doing today. But PR history also has theoretical implications. Because Grunig and Hunt’s first version of the four models was based on a historical timeline approach, R. E. Bishop has argued that excellence theory rests on a foundation full of misunderstandings and misinterpretations. Prof. Meg Lamme, at the University of Alabama, recently pointed out to me that although PR theory has changed since Grunig and Hunt (1984), PR history still seems to rely on the timeline, even though we know the timeline is wrong. My own research shows, for example, that Ivy Lee’s conception of corporate publicity did not grow out of press agentry but out of Pres. Theodore Roosevelt’s call for the release of financial information by the trusts in 1902. So the public information model neither grew out of nor replaced the press agentry model. We have so much more to learn! Dr. V: Can you give us some interesting facts from your research that are not (the same as those) in our intro to PR textbooks? Anybody can use public relations techniques. The Student Nonviolent Coordinating Committee had public relations representatives and sent out press releases to promote its work during the civil rights movement. That seems only right, given that the KKK hired an Atlanta agency to promote its messages during the 1920s! Women and minorities in the U.S. have pretty much always been involved in PR, even if not in formal, paid positions. There’s been a good bit of research on PR tactics by women in reform movements, for example, and Scott Cutlip mentions that one PR agency had a woman who worked on “women’s accounts” at the turn of the 20th century. I think more women and minorities were in PR than we realize, but we haven’t studied them enough to know. Like I said, we have so much more to learn.